Since I plan on spending so much time reading, I’m just going to try and update this post every day. So that’s my pile. What are your plans for this weekend? I finished Eleanor & Park. I thought it was a nice sweet read about two teenagers in love. 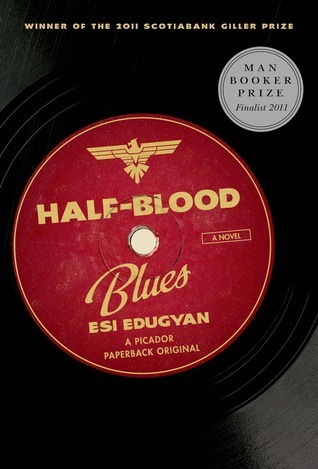 Now I’m trying to figure out what to read next: Half-Blood Blues, which I have on audio and in print, or Yellowcake. Enjoy your weekend and hope you get many reading moments during Spring Break! Alex, I feel the same way. I’ll be sure to let you know what I think of the book. I hope that your Easter is filled with enjoyable and relaxing reading time!! I keep hearing good things about Margo Lanagan, but I haven’t read her yet. Soon, I think. Happy reading! Sounds like a good week! I’ve been wanting to read Far From the Tree since I heard Andrew Solomon on NPR. I’ll be joining in this weekend for sure. Soundings sounds (ha!) fascinating. I hadn’t heard of that one before but that’s my kind of book. Sounds like you made a good start to the read-a-thon. I’ve not read any of those books, or indeed heard of half of them, but I love that there’s an author with the first name Rainbow. Excellent. Happy reading Vasilly 🙂 I’ll be home relaxing this weekend and cooking on Easter Sunday. Have a pleasant reading time! I’ve just read an entire book all the way through, which I haven’t done for ages, and it felt amazing. It’s great to be able to carve out some time where you do nothing but read.